Signature Plumbing Company has worked hard to earn an excellent reputation. We invite you to check some of the resources below and see for yourself. You will soon see that we should be your first choice for any residential plumbing issue in Carrollton, Plano Farmers Branch all of North Dallas. BBB - FACEBOOK - GOOGLE + ANGIES LIST AND MORE! We have excellent 5 star reviews all over the web. Many customers report that we are their plumber of choice in Carrollton, Frisco, Plano and all of North Dallas. If you want to read more directly from their site, here are the links. We have included some of the most recent 5 star reviews here. We are accredited by the Better Business Bureau. We invite you to check our credentials at their site by clicking the BBB image. We have many reviews like this one. We feel fortunate to be able to work with many great customers and friends in the North Dallas area. We work very hard to provide each and every customer the same high level service that earns us repeated 5 star reviews. Visit our Youtube channel here. Lots of helpful tips on your home plumbing needs. 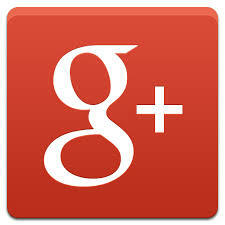 Click on logo to see our Google + reviews. We have many 5 star reviews on Google just like this one. Just click on the big red G box to the left to see Google Reviews. Angie’s List has been helping consumers get information on quality service providers for many years. It is one of the oldest and most respected Online review sites on the web. If you’re a member of Angie’s List we encourage you to see our page there. If you’re not, here’s a brief snippet from one of our most recent reviews. Signature Plumbing Company also has many excellent reviews and supporters on Facebook. You can click this link and go straight to our Facebook page for more information and also some handy home repair tips. Signature Plumbing Company also has many recent, great reviews from Red Beacon. This site specializes in information and references on home repair contractors. You can click the link at the bottom of this review and go straight to our Red Beacon Review page for more information. Byron responded quickly to my request and was able to complete multiple jobs in one service. He was friendly and efficient. I would use Byron at Signature Plumbing Company again. Customer Feedback left directly with Signature Plumbing Company. Many of our customers leave great feedback with us directly from our website. You can some of them here. If you would like to leave your own comments below on teh form.